On October 8th (Columbus Day), join us as we fly out to Tangier Island! This little island town is located in the Chesapeake Bay, and is known for its historic value and unique way of life. This colonial island was discovered in the early 1600's but did not become fully settled until the 1770's. It was used as a staging area for the British Navy in the War of 1812. This left a British presence on the island long after the navy had left. This can be seen by the way of life, culture, and the most prominent aspect: the Elizabethan dialect. 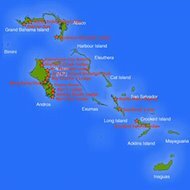 The islanders all speak with a distinct English accent that is so unique it may seem like another language! These factors make it seem as if you are in another country, which is why it was been described as "Leaving the country without your passport." We plan to fly out September 16th, and arrive around 1200. We will eat lunch at Hilda Crockets Chesapeake House, then have a walk around the small island. We will depart around 1500 to head back home. If you want to fly along for this unique opportunity, schedule a plane today and contact our Stafford office so we know a head count for the restaurant. 06.03.18 Visit the Birthplace of Aviation! 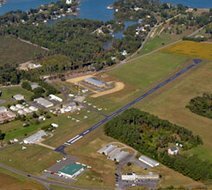 Mark your calendars for June 3rd, as we fly out to First Flight Airport (KFFA), located in Kitty Hawk, NC! Plan your trip to arrive at 1100 and we can all rendezvous at the Wright Brothers Memorial overlooking the Outer Banks. We then plan to tour the park and walk the very grounds that the first flight took place. Afterward, we will head over to one of the many wonderful beach restaurants to eat and even visit the beach! Reserve your plane as soon as possible because you do not want to miss out on this opportunity! This will make for a great cross-country, or a fun weekend to start off the Summer. Please contact the Stafford office to let us know if you'll be joining the group. Join us as we fly down to the historic Williamsburg/Jamestown area! We plan to fly down and arrive at 1100 on Saturday, March 31. After everyone has arrived, we plan to take a ride over to historical downtown Williamsburg. There are plenty of restaurants available in the Williamsburg area, and the airfield also houses a nice place to eat. 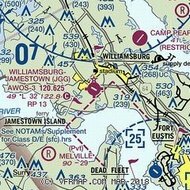 We plan on departing from Williamsburg-Jamestown (KJGG) around 1500 to head back home. If you are a private pilot that needs a cross-country flight, or just want to experience a fun flight on a Spring weekend, then reserve your plane today! If you plan to join us, please contact our Stafford office and sign up so that we can make the appropriate arrangements. We look forward to flying with you! Aviation Adventures is pleased to announce the 2018 editions of the VFR Rusty Pilot and Emergency Procedures courses, scheduled for March 17, 2018 at the Manassas Regional Airport. The VFR course will be taught from 8:00 am - 12:00 pm. This course served in large part as the inspiration for the AOPA Rusty Pilots program, which has enjoyed national success! The Emergency Procedures course will be taught from 1:00 pm - 4:00 pm.
. VMC into deteriorating weather: This block of scenario-based instruction begins with a discussion of legal VFR weather minimums for a proposed flight and the pilot's personal minimums, which will inform the go/no-go decision. The objectives are for the pilot to develop an appreciation for marginal weather, and to develop or refine personal weather minimums.
. Engine failures during critical phases of flight: The key objectives for this section of the training program are for the pilot to refine procedures for engine failures during the takeoff roll, after rotation with runway remaining, below 1000' AGL, and above 1000' AGL. After completing this block of instruction, the pilot will have a better understanding of the various factors that need to be considered prior to takeoff that will influence a successful outcome. The pilot will also have a better understanding of how to select a safe altitude from which a return to the airport environment is feasible.
. Aircraft systems and control surface failures: Pilots will focus on diagnosing and working through various systems failures (e.g. alternator, pitot/static system, vacuum system, flaps, brakes, elevator). This block of instruction will begin with a discussion of the systems (normal operations and failures), and a review of the emergency checklists.
. Deteriorated aircraft performance: This block of instruction begins with a discussion of aircraft performance using the Cessna 172 POH to calculate the takeoff roll and distance over a 50' obstacle at various takeoff weights, and temperatures at KBCB (2132' MSL, 4539' x 100') and KLXV (9930 MSL, 6400' x 75'). The instructor will also discuss how density altitude is calculated and its impact on aircraft performance. The objectives are to understand the importance of performance calculations, how to configure a normally aspirated aircraft for high altitude operations and how to safely execute a high altitude/density-altitude takeoff and climb. 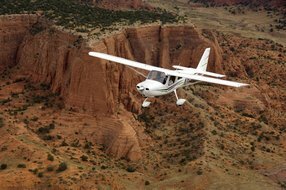 The discussion will largely focus on the Cessna 172; however, the principles are broadly applicable to a wide range of single engine piston aircraft. Each course costs $60, but if you sign up for both, the combined cost will be $100. At the conclusion of the VFR Rusty Pilot course, you will receive a certificate of completion indicating that you have satisfied the ground instruction requirement for the flight review per FAR 61.56. The certificate will be accepted by any Aviation Adventures CFI within six months of the course. If you would like to attend either or both courses, please register by sending an email to kontanis@gmail.com or by calling the Aviation Adventures Manassas office at 703-530-7737 with your name, email address, and a preferred phone number. Also, please specify if you would like to register for one or both courses. This will help us plan for course materials. Space is limited to approximately 40 participants for each course, so please reserve your position soon! Aviaiton Adventures is proud to announce that we have, once again, been recognized by AOPA as a Distinguished Flight School. 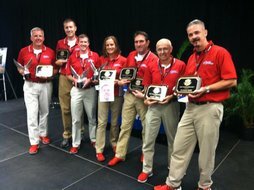 In addition to the school being recognized as a whole, we also had several instructors that were awarded, as well. Raymond de Haan, Bob Hepp, Austin Kaminski and Dan Miller were all named as Distinguished Instructors. The information that AOPA uses to determine the award winners is all based on the survey results from customers like you. So, THANK YOU!!! We really appreciate the positive feed back you provdided for us to receive this recognition. We will continue to do our best to meet/exceed your expectations for providing the best flight training we can. Aviation Adventures is pleased to announce the 2017 edition of the VFR and IFR Rusty Pilot Courses, scheduled for October 7, 2017. The VFR course will be taught by Elias Kontanis from 0800-1200. This course served in large part as the inspiration for the AOPA Rusty Pilots program, which has enjoyed national success! The IFR course will be taught by Bob Hepp, beginning at 1300 and ending by 1700. These courses will take place at the Manassas Regional Airport. Each course costs $60, but if you sign up for both, the combined cost will be $100. At the conclusion of the VFR course, you will receive a certificate of completion indicationg that you have satisfied the ground instruction requirement for the flight reveiw per FAR 61.56. The certificate will be accepted by any Aviaiton Adventures CFI within six months of the course. If you would like to attend either or both courses, please register by sending an email to kontanis@gmail.com or by calling Aviaiton Adventures Manassas office at 703-530-7737 with your name, email address and a preferred phone number. Also, please specify if you would like to register for one or both courses. This will help us plan for course materials. Space is limited to approximately 40 participants in each course, so please reserve your position soon! For all of you that have been anxiously awaiting for this fun event, we have finally nailed down the date of March 19, 2017. We will be meeting at KBLM (Monmouth Executive Airport) at 10:00 for an operations briefing. Please make your airplane reservation as soon as possible since availability of aircraft on the weekends can be tough. Please note "Hudson River Trip" in the remarks of your online reservation. If you are interested in joining us, please email Mari at Mariana@aviationadventures.com since she will be coordinating the event. This is the perfect opportunity to log some cross country time while sharing the cost with another pilot. If that is the case, but you have not yet been paired with anyone, let Mari know so she can help you with that. If you have been looking forward to getting some flight time on a high performance aircraft, you will want to join us on March 18th from 0800 to 1700 in Manassas to learn all about this beautiful and powerful machine. Cost for training is $225. Contact our Manassas office to register. Our highly successful CFII Boot Camp will be held at the Manassas Terminal Building on February 25th from 8AM to 5PM. The course was originally designed for CFIIs in Training, but has been heavily attended by current CFIIs and Instrument Pilots as a review, and Instrument students getting prepped for the oral portion of their practical test. We will cover Instrument regs, instruments, new and old things on charts, and procedures. The course fee is $100 and you can register at the Manassas Office. -VMC into deteriorating weather: This block of scenario-based instruction begins with a discussion of legal VFR weather minimums for a proposed flight and the pilot's personal minimums, which will inform the go/no-go decision. The objectives are for the pilot to develop an appreciation for marginal weather, and to develop or refine personal weather minimums. -Engine failures during critical phases of flight: The key objectives for this section of the training program are for the pilot to refine procedures for engine failures during the takeoff roll, after rotation with runway remaining, below 1000' AGL, and above 1000' AGL. After completing this block of instruction, the pilot will have a better understanding of the various factors that need to be considered prior to takeoff that will influence a successful outcome. The pilot will also have a better understanding of how to select a safe altitude from which to return to the airport environment is feasible. -Aircraft systems and control surface failures: Pilots will focus on diagnosing and working through various systems failures (e.g. alternator, pitot/static system, vacuum system, flaps, brakes, elevator). This block of instruction will begin with a discussion of the systems (normal operations and failures), and a review of the emergency checklists. -Deteriorated aircraft performance: This block of instruction begins with a discussion of aircraft performance using the Cessna 172 POH to calculate the takeoff roll and distance over a 50' obstacle at various takeoff weights, and temperatures at KBCB (2132' MSL, 4539' x 100') and KLXV (9930 MSL, 6500' x 75'). The instructor will also discuss how density altitude is calculated and its impact on aircraft performance. The objectives are to understand the importance of performance calculations, how to configure a normally aspirated aircraft for high altitude operations and how to safely execute a high altitude/density-altitude takeoff and climb. The discussion will largely focus on the Cessna 172; however the principles are broadly applicable to a wide range fo single engine piston aircraft. This course is open to all student and certificated pilots, with a tuition set at $60. If you would llike to attend, please register by sending an email to kontanis@gmail.com with your name, email address, and a preferred phone number or by calling the Aviation Adventures Manassas office at 703-530-7737. This will help us plane for course materials. Space is limited to approximately 30 participants, so please reserve your position soon! February is the ideal time to put down the snow shovel, hang up the parka and fly to the Bahamas to sit on a warm beach with an umbrella drink in hand. On February 3rd, we will depart the DC area ond meet up at Fort Pierce, FL. The next day we will fly together to Cape Santa Maria Resort on Long Island, Bahamas. If you are working on your Private or Instrument ticket and would like to go, we have several instructors ready to accompany you. For more information, contact Bob Haase at 703-835-1234. The Presidential Inauguration always bring a closure of the DC Airspace for the day, and with it federal government employees are discouraged from commuting to work in the District. We have a tradition of departing the DC airspace before the closures kick in, spend the day skiing at the Wisp Ski Area in Garrett County, MD and return after airspace re-opens. Get the skis waxed up, reserve a plane and plan to join us on January 20, 2017. Please let the Manassas desk know if you plan to join us. Come to see what Diamond and Cirrus have to offer and learn the benefits of owning your own aircraft and leasing it back. December 2nd at 7PM at the Manassas Terminal Building or December 9th at the Leesburg Terminal Building at 7PM. Please let the Manassas Desk know that you plan to attend. On November 26th we will meet up at the Monmouth Executive Airport (KBLM) to brief and line up for our departure up the scenic Hudson River. We will fly low level over the Verrazano, George Washington and Tappenzee bridges, and past Statten, Governor's, and Ellis Islands, beneath the Manhattan skyline, over the Intrepid aircraft carrier museum, Central Park, and around the Statue of Liberty. Pilots should plan to be at KBLM by 10 so that we have everyone present for the brief. Please reserve your plane now. Also, please let the Leesburg desk know that you plan to fly, and if you have any open seats or would like to share costs to ride with someone else who is flying. 11.05.16 Want to fly upside down? Have you ever thought about taking your stick and rudder skills to the next level by learning to fly in ALL areas of the flight envelope? Bob Hepp and Adam Messenheimer will be holding an Intro to Acro class on November 5th in Manassas. The ground school will cover stall/spin awareness and recovery, unusual attitudes, tailwheel flying, and basic aerobatic maneuvers. The cost is $60 and will cover all subjects required before getting into our Super Decathlon to begin your dual training. Send Adam an email to sign up for the course or ask any questions. Let's get inverted! Aviation Adventures is pleased to announce that we have scheduled the VFR and IFR Rusty Pilot Courses for September 10, 2016. The VFR course will be taught by Elias Kontanis from 8am - 12pm. The IFR course will be taught by Spence Watson from 1pm - 5pm. These course will take place at the Manassas Regional Airport. The VFR Rusty Pilot Course served in large part as the inspiration for the AOPA Rusty Pilots Program, which has enjoyed national success! Each course costs $60, but if you sign up for both, the combined cost will be $100. At the conclusion of the VFR course, you will receive a certificate of completion indicating that you have satisfied the ground instruction requirement for the flight review per FAR 61.56. The certificate will be accepted by any Aviation Adventures CFI within six months of the course. If you would like to attend either or both courses, please register by sending an email to kontanis@gmail.com or by calling the Aviation Adventures Manassas office at 703-530-7737 with your name, email address and a preferred phone number. Also, please specify if you would like to register for one or both courses. This will help us plan for course materials. Space is limited to approximately 40 participants in each course, so please reserve your spot soon! Aviation Adventures is pleased to announce the 2016 edition of the Rusty Pilot Course, scheduled for February 28, 2016 from 8am - 12pm at the Manassas Regional Airport! This is the original Rusty Pilot course which AOPA used in part, to develop their national Rusty Pilots program. Also, please feel free to pass along suggestions for any additional topics that you would like to discuss. The cost is $60 and you will receive a certificate of completion indicating that you have satisfied the ground instruction requirement for the flight review per FAR 61.56. The certificate will be accepted by any Aviation Adventures CFI within six months of the course. If you would like to attend, please register by sending an email to kontanis@gmail.com or by calling the Aviation Adventures Manassas office at 703-530-7737 with your name, email address and a preferred phone number. This will help us plan for course materials. Space is limited to approximately 40 participants, so please reserve your position soon! This course is ideal for CFII candidates, instrument students, and instrument pilots looking for a great, high speed refresher course. The course will run from 8am to 5pm on December 5th. Conor Dancy and Bob Hepp will tag team the presentations. The venue will be determined based on the number of sign-ups and will be announced prior to the event. The last CFII Bootcamp closed out registrations with 40 attendees and standing room only. To register, please call the Manassas office: 703-530-7737. Mark your calendars for October 24th, for the one and only Hudson River Safari! We will depart the area airports at about 9am and meet at the Monmouth Executive Airport (KBLM) to fuel and brief. We then proceed up and down the Hudson River Corridor at 1100' viewing the Big Apple as only pilots can. Please reserve your plane and sign up with the Leesburg office. 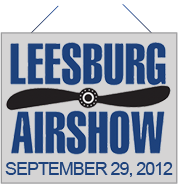 The Leesburg Airshow is Saturday, September 26th from 1100 to 1600. 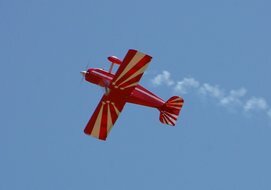 The show will feature acts from local and nationally recognized aerobatic performers. Parking shuttle and admission is free, although donations are accepted at the gate. The Liberty University Top Hawk tour is coming to each of our locations in September. Cessna Aircraft has given Liberty the use of a new Cessna 172 (Top Hawk) to promote general aviation. Liberty's Top Hawk team will be at our Stafford office on September 12th and Warrenton on the 13th. 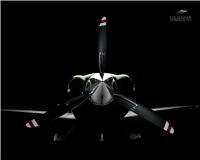 They will join us again for the Leesburg Airshow on September 26th and at Manassas on the 27th. At each stop the team will answer questions about the Liberty Flight Training Program and will be able to do a limited number of flights in the Top Hawk. 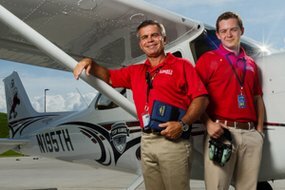 Priority goes to High School seniors and veterans with a genuine interest in flight training with the Liberty Affiliate program. To register, please contact the AvA office from which you would like to fly. Our annual Tangier Fly-out trip is scheduled for Sunday, September 6th. We will depart our home airports with an ETA @ TGI of 1300. Following a stroll through this historical island, we will stop at Hilda Crockett's Chesapeake House for a family style meal. If you haven't been to Tangier, it is like visiting a foreign country in our own backyard. Please reserve your plane now and call the Manassas office to let us know you plan to go. This is a very hot and cool airplane. It goes so fast that the skin friction with the air raises the temperature surrounding the aircraft, while inside our heads are kept cool with air conditioning. There will be a class for the mandatory ground school on Saturday, May 30th from 0800 till 1700 at the Manassas Office. An excerpt from the aircraft manual will be included. Wrestling with oxygen masks (if the plane is available), turbo charge talk, advanced G1000 knowledge, and high altitude flying considerations will be discussed. For $225 you can prepare yourself for flying at FL250 with the oxygen mask on and feeling like a fighter pilot. Come join us, and sign up in advance, so we can plan accordingly for classroom space. See you on the 30th! It is exciting just talking about this airplane...what do you think flying it will be like? Aviation Adventures is pleased to announce the 2015 edition of the Rusty Pilot Course, scheduled on February 21, 2015, from 8am - 12pm at the Manassas Regional Airport! This course was featured in the March 2014 edition of the AOPA magazine and the November 2013 edition of AOPA Flight Training. The cost is $60 and you will receive a certificate of completion indicating that you have satisfied the ground instruction requirement for the flight review per FAR 61.56. The certificate will be accepted by any Aviaiton Adventures CFI within six months of the course. If you would like to attent, please register by sending an email to kontanis@gmail.com or by calling the Aviation Adventures Manassas Office at 703-530-7737 with your name, email address, and a preferred phone number. This will help us plan for course materials. Are you interested in owning an aircraft? If so, are you looking for a way to make that dream plane more affordable? Come out for our Leaseback seminar to find out how you can get some return on an aircraft purchase by leasing it back to Aviation Adventures. The seminar will be held in the Pilot's Lounge at the Manassas Airport Main Terminal Building at 6pm. Interested in learning about the Garmin G1000 and renting one of Aviation Adventures G1000-equipped aircraft? Our Stafford office now has a G1000 Cessna 172 available for rent in addition to the several G1000-equipped planes already online at Manassas and Leesburg. The Garmin G1000 autopilot (GFC 700 or KAP 140) offers tons of capability, though you'll need to become familiar with Garmin's system logic and the knob- and button-ology to use it effectively. Attend the Aviation Adventures G1000 Seminar at Stafford Regional Airport (KRMN) Saturday, January 10, 2015 from 8:30am - 1pm. The cost is $60. Attendance is limited to the first 24 to sign up. Contact the Stafford office of Aviation Adventures at 540-602-7100 or email KRMN@AviationAdventures.com to reserve your space. Are you interested in owning an aircraft? If so, are you looking for a way to make that dream plane more affordable? Come out for our Leaseback seminar to find out how you can get some return on an aircraft purchase by leasing it back to Aviation Adventures. The seminar will be held in the conference room on the top floor of the Leesburg Airport at 6pm. Join us on a beautiful flight out to Front Royal (FRR), followed by a scenic float down the Shenandoah River. 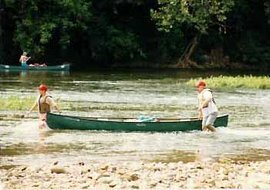 We'll all arrive to FRR on the morning of Friday, August 15th, where the friendly folks from the Front Royal Canoe Company will pick us up and take us to their launch point on the river to do a 7 mile canoe trip downstream. After an enjoyable day on the river, we'll head back to the airport for the return flight. Contact the Warrenton office for more details or to get your name on the list. 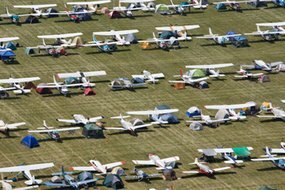 If you haven't been to AirVenture at Oshkosh before, this is your year to go! Get your plane (and instructor, if needed) booked now to head up to this Aviation Mecca. We have lots of instructors that are experienced in getting in and out of Oshkosh, know the best places to stay and where to go while you're there. Contact any of our offices to get information if you're interested in going. Be sure to let them know what dates you're planning to go/return, as well. Join us for our annual flyout to Tangier Island (TGI) in the Chesapeake. Take a step back in time on this island and enjoy some fresh seafood while you're at it. Contact the Manassas office if you plan to go so we can include you for the restaurant reservation. 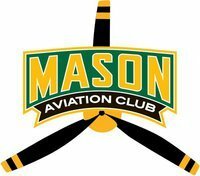 Aviation Adventures is now home of the Manassas, VA chapter of IMC Clubs International! If you're an instrument rated pilot or instrument student, this is something that we'd strongly recommend you attend. Our inaugural meeting will be at 6:30 pm on Wednesday, June 4th in the HEF terminal building. Check out www.imcclubs.org for more information. Join us on a flight down to Dinwiddie County Airport in Petersburg, VA to do something crazy...jump out of a plane! We'll be skydiving with Virginia Skydiving Center. Camden Gonzalez, who flies with Aviation Adventures & is a skydiving instructor with VSC, will be getting all the details organized for us. Contact the Manassas office to sign up or to find out more details. Join us for a flyout to the place where aviation was born! We'll be flying down to First Flight (FFA) on Saturday, May 17th. We plan to depart all airports in time to arrive at FFA by 11am. 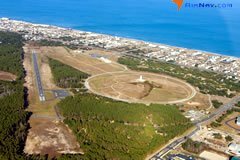 We'll meet at the Wright Brothers Memorial atop the hill and will spend the day at the Wright Brother National Monument and across the street at the beach. Call the Leesburg office if you plan to join and to get all the details. Did you know that only 6% of pilots are women? An upcoming event hopes to change that statistic. Saturday, May 10th is the second annual Women Can Fly Day at the Warrenton Airport. The hours are from 10am to 3pm, rain or shine. So over the next few weeks if you see a woman, you now have a GREAT reason to go up and talk to her. Invite her to Women Can Fly! Guests will participate in a formal presentation called the Preflight Briefing, which will introduce them to all the parts of the airplane and basic aerodynamics. The static display of aircraft will allow them a more hands-on walk-around with volunteer pilots and an opportunity to sit in a cockpit prior to their actual flight. While guests wait for their free flight, there will be pilots on hand to talk and tables set up with organizations such as VADOAV, FAA, EAA, 99s, AvAd and others. Please spread the word about this event to family, friends, coworkers and strangers! Visit the website at www.womencanfly.org for more information. There is a section for participants to register and another section for volunteers. Flyers and brochures should be available at your local airport. At last year's event, we had 24 pilots to take up 145 passengers. If you are interested in being a volunteer pilot to help with these introductory flights, Aviation Adventures will be reducing the rental rate for many aircraft by $15/hour at all locations. Fuel will also be discounted at HWY for participating aircraft. The airport will be open for normal flight operations, so you may bring a plane from any location into HWY throughout the day. Through these hands-on experiences, Women Can Fly hopes to encourage participants to fly recreationally, become a private pilot, or pursue a career in aviation. Here is a chance to really inspire someone! Mark your calendars for this free even. More details to follow. Tell all your non-pilot flying companions Aviation Adventures is offering a course for the frequent right seat occupant titled "Right Seat Course: What If the Worst Happens?" You, a non-pilot, are riding in a flying airplane when the only pilot on board becomes incapacitated. What could be worse than that? Completion of this course will prepare you for just that situation. 1. To know, intectually, how to safely complete a flight after the pilot becomes incapacitated. 2. Be well prepared to apply that knowledge in an in-flight practice scenario. 3. Gain knowledge helpful on normail flights, allowing you to be a useful co-pilot. The cost of the ground session is $60 and will be presented in Leesburg Airport Terminal Building 2nd floor conference room on Saturday, April 26th from 9:00am to 11:30am. 1. Apply the knowledge you acquired in ground school to an in-flight practice scenario. 2. Safely land the airplane. 3. Gain bragging rights - "I can fly any airplane in the world!" The cost for this session will be ala Carte at the normal hourly rates for the airplane and instructor used. You can plan on between 1 and 1.3 hours airplane time and between 1.5 and 2 hours instructor time. The flight session can be scheduled any time after the completion of the ground session at any Aviation Adventures location. Please call the Leesburg office to reserve your place in the ground school and schedule your flight. AvAd Warrenton is happy to be hosting the Aeronca Champ (SkyVentures 1, N83581) from now until May 9th. Anyone interested in flying this classic aircraft at Warrenton can schedule it through Paperless141 or by contacting the front desk. The Champ is a fun, back-to-basics, taildragger that allows the pilot to hone and polish those stick-and-rudder skills. Its 1946 design didn't include an electrical or vacuum system which keeps cockpit distractions to a minimum allowing the pilot to enjoy fundamental VFR flying (we have a battery for radios and transponder). Anyone interested in a tailwheel endorsement (see part 61.31 for details) or an aircraft checkout in the Champ, this is your chance. Also, we have gotten permission to fly the Champ out of Rhynalds Airfield. This is a great chance to practice real, short field landings on a 2500' grass strip. Also, please let us know if you have suggestions for additional topics you would like to discuss. The cost is $50 and you will receive a certificate of completion indicating that you have satisfied the ground instruction requirement for the flight review per FAR 61.56. The certificate will be accepted by any Aviation Adventures CFI within six months of the course. If you would like to attend, please register by sending Jim Rodriguez and email at Flubber@AviationAdventures.com, or by contacting the Aviation Adventures Warrenton office at 540-788-4734 or KHWY@aviationadventures.com. Include your name, email address and a preferred phone number. It's time for our annual Aviation Adventures Hudson River Flyout! This year, the event will be held on December 7th. 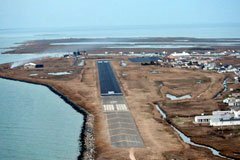 Plan to depart your home airport in order to arrive at Monmouth, NJ (KBLM) no later than 10am. There, we will have a quick pilot briefing in the FBO, then depart for the Hudson River VFR Corridor/NYC SFRA. If you've never flown up the Hudson River at 900' looking UP at the skyscrapers, then this is something that you HAVE to do! Be sure to reserve your airplanes and instructors ASAP while they are still available. This is a great opportunity to knock out that long XC you've been trying to finish or to show your family the utility of a small airplane. This year, the Hudson River Flyout will be dedicated to Kurt Kessler, an Aviaiton Adventures employee who recenly lost his battle with pancreatic cancer. All profits from this flight will be donated to Kurt's family. We hope to have you along on this exciting adventure! See you in NYC! Listen up, all you Instrument Instructor and Instrument Pilot wannabes and has beens. After listening to all of your whining and sniveling, we are holding an Instrument Instructor and Instrument Pilot Boot Camp, and your sweet aspirations better be there. On November 23rd at 0800 sharp (that means be there at 7:30am for you new cruits) at the Manassas Drill Center, Drill Sergeants Dancy and Hepp will attempt to whip your pathetic hinies into instrument shape. At the end of this mighty fine day, you will absolutely be able to impress or BS any FAA Inspector or Examiner into believing that you have all of the proper knowledge stuffed between your delicate ears to be an accomplished Instrument Pilot or Instructor. Instrument Rating and CFII PTS, FARs, AIM, Chart and Plate terminology and ciphering, Instruments and Systems, Weather Theory and Reports, Flight Planning, Pre-flight and Cockpit Checks, Determining Proper Alternates, Required Reports, Non-radar Procedures, Radio Out Procedures, Obstacle Departing Procedures, Visual Decent Points, and all that new stuff like GNSS, Q Routes, T Routes, and WAAS Approaches. After all of that book learnin', your highly sensitive Drill Sergeants will guide you through procedures on flying and teach instrument scans, straight and level, turns, climbs and decents, steep turns, unusual attitudes, compass and timed turns, intercepting and tracking navaids, holding, DME Arcs, Precision and Non-Precision Approaches. You will have everything you need to slip a Skyhawk down a Glidescope through a tornado and never see the needles twitch. All this fun ain't free. $100 is an amazing deal to get you ready to meet and defeat anything the enemy (FAA or the Weather Gods) can throw at you. If you think you are up to it, call the Manassas desk (703-530-7737) to let them know you want to sign on for the Instrument Boot Camp. Interested in learning about Garmin G1000 and renting one of Aviation Adventures G1000-equipped aircraft? The Garmin G1000 with an autopilot (either GFC700 or KAP140) offers tons of capability, though you'll need to become familiar with Garmin's system logic and the knob- and button-ology to use it effectively. Attend the Aviation Adventures G1000 Seminar at Warrento-Fauquier Airport (KHWY) Saturday, October 26, 2013 from 8am - 12:30pm local time. The cost is $50. Attendance is limited to the first 25 to sign up. Contact the Warrenton office to reserve your space. SkyVentures 64 is a 2006 Columbia 400. Most of you have heard the numbers and they're pretty remarkable. If you think it's time to take your flying to the next level, then let's get started with the first step. Mike "Jester" Gilbert will be conducting a ground school to introduce you to this amazing flying machine on Saturday, October 5th, starting at 8:30 am at our Leesburg office. The cost for the class is $225 and includes a POH for the aircraft. Depending on the number of students, you can plan to be in class till around 4pm. As a reminder, the checkout for the Corvalis/Columbia involves a ground school and a series of scenario-based flights...VFR and IFR covering basic procedures, emergencies and flight up at altitudes requiring a little supplemental O2. To sign up, call or drop by the Leesburg office. Our 2014 Bahamas Trip will be January 29th to February 8th. Join us to begin the planning for this awesome trip on September 29th at 7PM at the Manassas Terminal Building. If it is an indication, all of the people who were on the 2013 trip are planning to go again in 2014. Mark your calendars for this free airshow. More details to follow. Whether you are wanting to land on a real grass strip or enjoy a few fresh crabcakes at the Kentmorr Marina Restaurant, this is a great trip. Please call the Leesburg office for details and to register. On September 14th, David Keran will host our famous Rusty Pilot Seminar. Thi sis the perfect class for someone just getting back into aviaiton, getting ready for a Flight Review or checkride or just looking to knock a little (or a lot) of rust off. The seminar runs from 8am to noon and the course fee is $50. Please call the Leesburg office to register. Experience a collection of the best roller coasters in the world. We will depart early to meet at the Norwalk, OH airport and then shuttle over to Cedar Point. Please call the Warrenton Office to register. Need to knock the rust off your IFR skills, or better yet, prepare for an IPC? Aviation Adventures' own Conor Dancy will be hosting the perfect class to help you get back into that single pilot IFR flying. Although losing IFR currency and proficiency is always a hassle, this course will help you quickly and efficiently regain the knowledge required to punch holes through clouds. This seminar runs from 8am to 1pm and the course fee is $60. Please call the Leesburg office to register. This is your opportunity to fly a 1946 taildragger plane. Whether you just want a little taildragging experience, want to do something different for this year's Flight Review, start on a taildragger endorsement, or just want to fly something very different and very fun, this is your chance. Please call the Leesburg office to register. Our journey starts with a morning departure from your home airport and a quick trip to the Front Royal Airport (KFRR). The Shenandoah Canoe Company will pick us up and transport us to their base where we will be fitted with life jackets, paddles and canoew or kayaks. A quick van trip upstream and we put into the mighty Shenandoah River. A few hours of peacefully floating through valley farms and forests gets us back to the base for lunch. After lunch we canoe for about another 1.5 hours to the take out point where the van meets us to take us back to the airport. Please call the Warrenton office to register. "What do all those numbers and dials mean?" or "What should I do if you get sick and can't fly for some reason?" or "Could I land this thing myself?" or "What can I do to help?" Although the likelihood of something happening to you while inflight causing you to need assistance in getting safely back on the ground is very small, this course will make your passenger more comfortable just knowing the basics of flying. Invite your spouse or friend out on Saturday, July 20th from 10am to 1pm in the back conference room at the Warrenton Airport where Aviation Adventures will host a Cockpit Companion's Course! Sometimes known as a "pinch-hitter" class. Know how to, intellectually, safely complete a flight after the worst thing happens (incapacitated pilot); be well prepared to apply that knowledge to an in-flight practice scenario; Gain knowledge on how to be helpful so they can better be apart of what YOU love doing. The cost is $40 and since the seating is limited to about 25, we will limit the registration to non-pilots until the day of. For those interested in attending, please register by calling the Aviation Adventures Warrenton office at 540-788-4734 or sending an email to dorito@aviationadventures.com with your name, email address and a preferred phone number. Since the Columbia has arrived at JYO, we have had a lot of requests for a Cessna/Columbia 400 class. Jester and Dutchman have cleared their schedules to present to you the next COL4 class at JYO on Saturday, July 20th. It will be a full day, starting at 8am and will be done around 5pm. The cost is $225 and will include your own copy of the 400 manual. High altitude weather and flight operations will be discussed, as well as advanced G1000/GFC700 procedures--and don't forget the fantastic systems of this "fire breathing dragon" that will take you anywhere in no time at all. Sign-up by calling or emailing the Leesburg office. Has it been awhile since you've put your IFR skills to the test? Here's a great way to get back into your IFR flying without feeling too overwhelmed. This seminar is being held at our Manassas office from 8am - 12pm on Saturday, April 27th. The registration is $60. Please call the Leesburg office to sign up. On April 20th, at the Manassas office Elias Kontanis will hold a Rusty Pilot Seminar. This is the perfect time to get back into flying, review recent changes, or get ready for your bi-annual Flight Review. The seminar will be held in the Pilots Lounge of the Manassas Airport Terminal from 8 am to noon. The seminar fee is $50. Please email Elias to sign up for this seminar: Animal@AviationAdventures.com. If you are interested in getting checked out in the awesome Cessna Corvalis, this is a class worth attending. The ground school is a requirement for the aircraft checkout. The ground school runs from 8am - 5pm at our Manassas office on Saturday, March 23rd. The registration fee is $225. Please call the Manassas office to sign up. Has it been awhile since you've put your IFR skills to the test? Here's a great way to get back into your IFR flying without feeling too overwhelmed. This seminar is being held at our Leesburg office from 8am - 12pm on Sunday, March 17th. The registration fee is $60. Please call the Leesburg office to sign up. Has it been a while since your last flight? Do you feel like your aviation knowledge is getting a little stale? Have a Flight Review due soon? Or, would you just like to spend a morning with other pilots talking aviation? Then, come to the Aviation Adventures Rusty Pilot Refresher Course at Warrenton-Fauquier Airport (KHWY), Saturday, February 9, 2013 from 8am - 12pm. We'll review topics such as: Airspace, the SFRA, Computerized Weather and Flight Planning, Federal Aviation Regulations, New Procedures & Information, GPS Navigation, Practical Aeronautical Decision Making (ADM), and FAA "Special Emphasis Items". The cost is $50 and you will receive a certificate of completion indicating you have satisfied the ground instruction requirement for the flight review. The certificate will be accepted by any Aviation Adventures CFI within six months of the course. If you plan to attend, please register by calling the Aviation Adventures Warrenton office at 540-788-4734 or sending an email to khwy@aviationadventures.com with your name and a contact phone number. This will help us plan for course materials. We have a date, just not a precise destination. We will spend the 3rd at Fort Pierce, LF and jump off to the Bahamas on the 4th. A little snorkelling, fishing, SCUBA, touring and inter-island flying before departing for home on the 8th. Call the Manassas office to sign-up. Starting this January, Aviation Adventures will be partnering with GMU to stand up an Aviation Program there. Besides their Main Campus in Fairfax, GMU has one campus in Loudoun County, on across the street from the Manassas Airport, and an Aviation Club that has held several activities at the Warrenton Airport, so the matchup is easy. The program will start off offering Aviation as a minor, with plans to develop into a full Aviaton program. On November 17th we will depart all airports to arrive at Monmouth Executive Airport by 11 AM. We will brief the trip, line up and depart in single file formation to head over Flushing Bay, over the Verrazano Bridge, past the Statue of Liberty, Governor's Island, Ellis Island, downtown Manhattan, The USS Intrepid, Central Park, LaGuardia Airport, then we turn around and see it all again from the other side of the river. Back by popular demad is the Meet the Examiners Seminar. This is your chance to see the most active area Designated Pilot Examiners (DPEs) in action. During this seminar, they will take turns providing you with very helpful observations and recommendations for a successful checkride. You will have the opportunity to ask the questions you may not want to ask on your checkride. All questions are in bounds. The Manassas seminar will be held at 7PM on November 1st at the Manassas Main Terminal Building, and the Leesburg seminar will be at 7PM on November 7th at the Leesburg Main Terminal Building. There is no charge for these seminars. Please register with the Manassas or Leesburg office, as apporpriate. On 28 October we will depart all airports to fly over the Blue Ridge Mountains and catch the breathtaking colors on the way to the famous Luray Caverns. We plan to be on the ground at Luray Airport at 11PM, then ride or walk to the caverns, tour the caverns and the antique car museum, have lunch and be back to your home airport by 4PM. On October 6th, at the Warrenton Campus, Jim Rodriguez will conduct his very popular Rusty Pilot Seminar. This is the perfect time to get back into flying, review recent changes, or get ready for your bi-annual Flight Review. Attendees will receive credit for the ground portion of their Flight Review. The seminar will be held in the Warrenton Airport Conference Room. The seminar fee is $50. To register, please contact the Warrenton office. Be sure to register early, as we had to close registration at 30 attendees for the last seminar. On October 6th, we will hold a Cessna 400 Ground School Class at Manassas. The class runs from 8AM to 5PM and is a pre-requisite for the Cessna 400 Corvalis Checkout. The class fee of $225 includes a reprint of the Cessna 400 POH. Please register at the Manassas office. This event keeps getting better every year. A free airshow and airport Open House. Visit www.leesburgairshow.com for more information. We will depart all locations to converge at the Sandusky Airport (KSKY) in Ohio by 10 AM. We will ride the best roller coasters in the world and then depart SKY about 5 PM. With 15 or more we will get group rates. Call the Leesburg desk to register. This is an all day pre-requisite to the checkout in this very fast and very popular plane. The class will go from 8 AM - 5 PM and costs $225. Contact the Manassas office to sign-up. 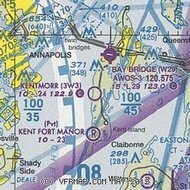 We will fly into the grass strip at Kentmorr (3W3) on Kent Island, MD. A short walk from the strip is the marina with some of the best crab and crabcakes on the Chesapeake. Be sure the plane you reserve is not complex or does not have wheelpants. Contact the Manassas office to register. Interested in learning about the Garmin G1000 and renting one of Aviation Adventures G1000-equipped aircraft? The Garmin G1000 with integrated GFC-700 autopilot offers tons of capability, though you'll need to become familiar with Garmin's system logic and the knob- and button-ology to use it effectively. Attend the Aviation Adventures G1000 Seminar at Warrenton-Fauquier Airport (KHWY), Saturday, July 28th from 8 am - 1 pm local. The cost is $50. Attendance is limited to the first 25 to sign up. Contact the Warrenton office of Aviation Adventures at 540-788-4734 or email khwy@aviationadventures.com to reserve your space. This is the year to make it happen. See the largest aviation event in the world! We will stop at the Air Force Museum in Dayton, OH, then fly right into OSH. On the 26th, we will depart OSH, head east for Niagara Falls, spend the night, then fly down the Hudson and back home. For a reasonable fee, housing, transportation and some meals are provided. Call the Manassas office to register. Discover the fun of tailwheel flying. Just have fun or start your tailwheel transition. Contact the Warrenton office to sign-up. Visit the birthplace of powered flight! We will depart all locations and meet up at First Flight Airport (KFFA) at 11 AM. Contact the Leesburg office to register. Discover the fun of ailwheel flying. Just have fun or start your tailwheel transition. Contact the Leesburg office to sign up. Tangier Island was one of Paul Gardella's favorite $100 Hamburger destinations. We will depart all locations to converge at Tangier (KTGI) by 6 PM. We will dine family style at Hilda Crockett's Chesapeake House and get a quick tour of the island before our before dark departure. All proceeds from this flight and any other donations will go to Paul's family, or the charity of their choice. Let's make this a bit turnout. Contact the Warrenton office to register. The ever popular flight up and down the Hudson River, past Manhattan, the aircraft carrier Intrepid and the Statue of Liberty. We will depart all locations to converge on Monmouth Executive Airport (KBLM) by 10 AM. We will brief and head up and down the Hudson. Some may make a stop in the Big Apple, other may return home directly. Call the Leesburg office to register. The Manassas seminar set attendance records. This is your chance to ask your examiner questions about your checkride. This will be at the Leesburg terminal building. Wings credit is possible. Contact the Leesburg office to register. We will depart from all locations and converge on Front Royal Airport (KFRR) by 9 AM. A van will take us to a canoe livery where we will be outfitted with canoes or kayaks and taken to a drop off point on the Shenandoah River. We will stop for lunch enroute and continue to float into the mid-afternoon. Call the Leesburg office to register. Since so many pilots crossover into the motorcycle world, as well, we're organizing a group ride from Manassas to the Bavarian Chef in Fredricksburg, VA. We will stage from the Manassas Terminal Building at 4:30, brief the route and depart at 5. The Bavarian Chef is authentic German cuisine. Call the Manassas desk to sign up. We are planning the annual Fly and Ski Adventure for Friday, January 20th. An early departure and a 1 hour C-172 flight to the panhandle of Maryland will put us on the slopes of the Wisp Ski Resort as they open. After a day of shooshing down the slopes not packed with the weekend crowd, we will return to DC before dark. We arrange the ground transportation, and if we get enough sign-ups we get group rates, as well. Please reserve your plane and let the Manassas desk know that you plan to attend. On Saturday, December 17th at 8 AM, we will hold our next Cessna 400 ground school. This ground school is a pre-requisite to the three modules of flight training for the 400 certification and checkout. The course runs for the full day and is $225, which includes a reprint of the essential parts of the Cessna 400 POH. This is the same day as the First Flight trip, so osme of you may have a tough choice to make. Please sign up for the course by contacting the Manassas Desk. Where is the best place on earth to celebrate the 108th birthday of aviation? You are right; Kittyhawk, North Carolina. This year, December 17th, the anniversary of the birth of aviation, lies on a Saturday and we are going to First Flight. We will fly down together and spend the afternoon at the Wright Brother's museum. Reserve your plane nowa nd get on the list with the Leesburg desk. 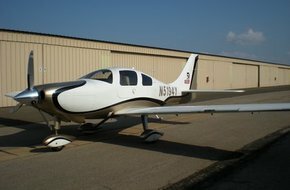 On Saturday, December 3rd from 9 to noon, Ray de Haan will teach a ground class at Leesburg on the DA-42 TwinStar. As we get into winter flying, this is an awesome traveling machine. IN addition to 2 engine redundancy, it is certified for flight into known icing (FIKI) conditions. This is a great way to start your checkout in this very capable twin, or to take the first step towards your multi-engine rating. Contact the Leesburg desk to sign up. Our widely acclaimed Hudson River Safari is back. On Saturday, November 26th we will launch from multiple locations to converge on Monmouth Executive Airport (BLM) to rally for our excursion up and down the Hudson River. After you have recovered from Turkey Day, and are looking for an awesome reason to get out of the house, with or without the relatives, this is it!! Go ahead and reserve your plane early and plan to join us for a most incredible aviation experience. Please let the Leesburg desk know you are going to be part of the group. Sometime in early february we are going to the islands, mon. We have not tailed down the exact dates, because we are leaving that to you, and that's the way they do things there. It will be about a 7 day trip with 4 days at Crooked Island. Rooms are $100/night for two doubles or one king bed. The fourth night is free. Food is $60/day for 3 meals and some snacks. The pilot of each plane gets one day of meals free. Bicycles and kayaks are free to use, and the beach is steps away from your door. What's not to like? We are having an organizational meeting on Sunday evening, November 20th at 7PM at the pilot's lounge at Manassas. Please let us know you are planning to attend by contacting the Manassas desk, and be sure to wear your favorite flowered shirt! We are hosting a seminar for those interested in getting in on our TBM 850 program. 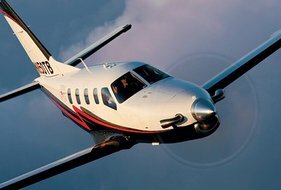 The Socata TBM 850 is a 6 seat, 320 knot, single engine turbo-prop. On Friday, November 18th, Mr. Ken Dono will bring an 850 into Manassas to do a few demo flights in the afternoon. At 7 PM we will lay out the details of our TBM partnership program. This program involves getting groups of 4 partners together per aircraft and providing them with the training, mentoring, insuring and aircraft management to provide partners with access to an aircraft with jet speeds at a fraction of the operating costs. Please email Bob Hepp at NightOwl@AviationAdventures.com to let him know your interest in this program and to schedule a demo flight. Demo flights will be prioritized base on individual levels of interest. Ken will stick around on Saturday the 19th to do a few more demo flights. We are hosting two aircraft ownership and leaseback seminars this month. The first is at Manassas on Thursday, November 17th at 7 PM in the terminal building. The second is at Leesburg at 7PM on Tuesday, November 22nd. We will discuss the line up on new Cessna Aircraft and how you can arrange for Santa to put the most awesome gift ever under your tree this year. If you are interested in making that gift more affordable, we will then discuss tax advantages and financing, and the details of the Aviation Adventures' leaseback program. All are welcome, no matter where you are in the aircraft purchase process. Please let us know that you plan to attend by calling the appropriate desk, so that we can have sufficient space and materials. We need more airplanes now!! We have had several requests for the famous Cessna Corvalis Class the last couple of weeks, and we listened. Bob Hepp, the Corvalis guru himself, will present the eight hour ground school at the Manassas office on Saturday, September 17th. The seminar will start at 8am, and will finish around 5pm, with a quick break for lunch in the middle (BYOL). The class will cover the aircraft systems, high altitude considerations, including oxygen, weather, vertical navigation, advanced G1000 operations, and more. This is your first step toward the checkout in this phenomenal cross country machine. The cost of the class is $225, which includes a copy of the Cessna 400 Corvalis manual and at least eight hours of picking Bob's brain. Call the HEF office to sign up. Feel free to call any office if you have questions about the aircraft, the class or rental requirements. 06.11.11 Can Flying be COOL in the Summer??? With air conditioning on the Corvalis, you will arrive cool and comfortable at your destination in no time at all! The extra speed and flight level capabilities allow you to keep a cool head while staying above most of the summer weather. Distances will disappear under your wings, and you will arrive in style! The Florida beaches are only a few hours away! Cessna 400 Corvalis Ground School is being offered on Saturday, June 11th. Sign up at JYO, HEF, or HWY and indicate which training location you prefer. This training is provided by Cessna Factory Authorized Instructors and meets the Cessna mandated Factory Authorized Training requirements for check out in the Cessna 400 Corvalis TT. The 8 hour course will cover aircraft systems, high altitude flight, and advanced G-1000 operations. The cost of the Ground School is $225 and includes the Corvalis Pilot's manual. The class will run from 8:30am-5pm with a break for lunch (not included). With the new minimums (Private Pilot with Instrument, 200 total hours with 25 G-1000 hours) the Corvalis is within your reach! Take the first step of your journey to fly the fastest fixed gear aircraft in the world! Give us a call if you are interested, or if you have any questions. 05.28.11 Learn to Fly Seminars! The weather is changing and spring is definitely here. To celebrate the beginning of the new flying season, we are planning to visit "The Beginning". On May 21st, First Flight Airport in North Carolina will be a fantastic destination to get you airborne again. The history of what happened on the sacrew ground of the Kitty Hawk Dunes always gets your attention. After you have emerged yourself in Aviation History, the sandy beaches will lure you into the Atlantic Ocean for a great day under the sun. Depature will be around 8am from all three airports to give you plenty of time in North Carolina. Return will be late afternoon, but that can be decided per plane. You can discuss that with you rfellow pilot and passengers when the day comes close. Book your plane now and give us a call to let us know you're joining! This course will satisfy the ground training requirement for the flight review required by 14 CFR 61.56(a) if you complete your flight review with an Aviation Adventures instructor within a reasonable period of time. Cost of the course is $50. For more information or to register, call Aviation Adventures Warrenton at 540-788-4734 or email khwy@aviationadventures.com. 04.23.11 When your mind is empty, you can count on the "Glass" being full! 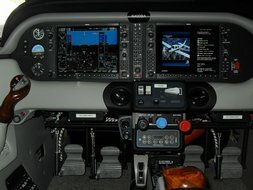 The capabilities of the G-1000 Glass cockpid panel reduce your workload so much you will ALMOST think it knows how to fly the plane! So, are you ready to upgrade your flying experience? To help you get started, Aviation Adventures will conduct a G-1000 seminar on Saturday, April 23, 2011 at the Leesburg office. The class will run from 9am - 1pm. The cost of the class is $50. Follow your training seminar with a checkout in one of our planes at JYO, HEF or HWY! Checkout will probably take two flight for VFR pilots, plus an additional one or two flights for IFR pilots. If you can't attend the seminar, all three locations have the King Schools video course on the G-1000 for sal for $208.95 (including tax). Attending the seminar is a much cheaper way to get your training, however. Register now to enhance your flying experience! Email or call Aviaiton Adventures Leesburg at kjyo@aviationadventures.com or 703-777-6030. 03.26.11 Got a need for more speed?? With the new minimums (Private Pilot with Instrument, 200 total hours with 25 G-1000 hours) the Corvalis could be within your reach! Cessna 400 Corvalis Ground School is being offered on Saturday, March 26th. Depending on interest shown, the session will be at eiter JYO or HEF. Sign up at JYO, HEF, or HWY and indicate which training location you prefer. This training is provided by Cessna Factory Authorized Instructors and meets the Cessna mandated Factory Authorized Training requirements for check out in the Cessna 400 Corvalis TT. The course will cover aircraft systems, high altitude flight, and advanced G-1000 training. Because you only pay for the time the Corvalis is in flight, this plane makes a long distance trip much more affordable than you think. Sign up for the Corvalis Ground School Class and you can begin the journey to fly the fastest fixed gear aircraft in the world! The cost of the Ground School is $225. This is a great deal, as you get 8 hours of instruction PLUS the Corvalis Pilot's manual--much more economical than paying for 1-on-1 instructor time. The class will run from 8am-5pm with a break for lunch (not included). Give us a call if you'd like to get your name on the list, or if you have any questions. Thinking about taking a step forward in your piloting skills? Like learning how to fly the Garmin G1000 glass panel? If so, you're invited to attend a G1000 seminar on Saturday, March 19, 2011 in the Aviation Adventures office at Warrenton-Fauquier Airport. We will start at 9:00AM and end by 2:00PM with a short break for lunch (not included). The cost of the seminar is $50. The seminar will cover the integrated GFC-700 autopilot. You can schedule a checkout flight for sometime after the seminar. Checkout will probably take two flights for VFR pilots, plus an additional one or two for IFR pilots. If you plan to attend, please register by emailing or calling the Aviation Adventures Warrenton office at KHWY@aviationadventures.com or 540-788-4734. Feel free to call if you have any questions or want more info. All three Aviation Adventures offices will close at 5pm on Thursday, December 23rd and reopen at 8am on Sunday, December 26th. The instructors will still have access to the offices, so any dual flights scheduled will be business as usual. For anyone renting a plane on Thursday after 5pm, Friday, Saturday or before 8am on Sunday, please make sure to get your reservation on the schedule and we will coordinate with you on Thursday to make sure you'll have access to the dispatch binder for your flight. Give us a call at the office before 5pm on Thursday if you have any questions...or need to arrange for any last minute Christmas gifts! Merry Christmas!! You don't have to wait any longer to fly the fastest rental airplane available. On Saturday, December 18th, we will hold a Corvalis ground course at our Leesburg campus. This one day course is part of the Cessna factory authorized Corvalis Transition Course. Completion of this course and the three required flight modules is the checkout to rent our 400's, and will also get you a beautiful certificate from Cessna. Our minimums to rent the 400's are 200 hours total time, Instrument Rating, 25 hours of G-1000 time, and completion of the transition course. The ground course will start at 8am, tak a break for lunch and conclude around 5pm. Tuition is $225 and includes a reprint of the Corvalis Operations Manual. Please call the Leesburg desk at 703-777-6030 to reserve your seat. If you have ever thought about owning your own airplane, we have a great way to do it. Let other pilots make your payments!! The time could not be any better. Congress approved the Bonus Depreciation for tax year 2010, enabling a huge deduction for new aircraft owners. Interest rates are at record lows, and banks are actually lending money again. On Tuesday, December 7th at 7pm, we will host an Aircraft Ownership and Leaseback Seminar at our Manassas campus. We will have a rep from Horizon Aviation on hand to discuss the 2010 Cessna line-up, pricing and the bonus depreciation program. Bob Hepp will talk about our leaseback program and how you can get other folks to make your plane payments. Please call the Manassas desk to let them know that you plan to attend. Spouses are invited, as well. If you missed last year's Hudson trips, we have another one coming up for you. On Saturday, December 4th, we will depart at 9am from all three locations to meet at the Monmouth Executive Airport (KBLM) to do final organizing to fly the Hudson. We will depart KBLM as a group in single file to cross over the Verrezano Bridge and into the Hudson Corridor. No matter how many times you have done this, it is one of the most incredible things you can do in an airplane. You will go past the Statue of Liberty, Ellis Island, Governor's Island, fly next to and below the Manhattan skyline, over the aircraft carrier Intrepid, Central Park, LaGuardia Airport, over the George Washington Bridge, turn around and do it again in reverse. You even have the option of peeling off to land at Teterboro and tak a cab downtown for the day. Get your friends or family together, reserve your favorite plane and bring back some unforgettable memories and spectacular photos. If you have ever thought about getting your multi-engine ticket, there will never be a better time than now. To help get you going, we are offering a December special on multi-engine flying. For the month of December, you can fly any or all three of our multi-engine airplanes for $10 off of their regular hourly rate. Join the movement and support local businesses, like ours. In honor of the first-ever Small Business Saturday, American Express Cardmembers will get rewarded for shopping small. Receive a $25 statement credit when you spend $25 or more at participating small businesses using your registered American Express Card. Availability is limited, so register today at SmallBusinessSaturday.com. On Sunday November 14th, we are holding a ground school class for the Cessna 400 Corvalis TT at our Manassas campus. This class is the first step in getting certified to fly the fastest airplane you can rent. The Corvalis TT flies at 220 kts at FL250 burning about 16GPH. The course covers all of the aircraft's unique systems, lean of peak operations, hight altitude operations and oxygen use, aircraft pre-flight, G-1000 flight planning, WAAS navigation and approaches, weight and balance, and descent planning from the flight levels. The class runs from 8 AM until 5 PM with a break for lunch. Tuition is $225 and includes a re-print of the important parts of the POH. The 400 minimum times are 200 total, instrument rating, 25 G-1000 hours, and completion of this ground and flight training course. The flight portion is 3 modules that totalsabout 7 hours of flight time. Call the Manassas desk at 703-530-7737 to reserve your seat. 11.13.10 Back by popular demand: Right Seat Course - What if the Worst Happens? Tell all your non-pilot flying companions, aviation Adventures is again offering its course for the frequent right seat occupant titled "Right Seat Course: What if the worst happens?" You, a non-pilot, are riding in a flying airplane when the only pilot on board becomes incapacitated. What could be worse than that? Completion of this course will prepare you for just that situation. The course is presented in two parts. A three-hour ground session followed, on the same day or on a later date, by a flight of approximately one hour duration. The objectives of the ground session are: 1. To know, intellectually, how to safely complete a flight after the pilot becomes incapacitated. 2. Be well prepared to apply that knowledge in an in-flight practice scenario. 3. Gain knowledge helpful on normal flights, allowing you to be a useful co-pilot. The cost of the ground session is $30 and will be presented in Aviation Adventures Manassas classroom on Saturday, November 13 at 9 AM. The objectives of the flight session are for you to: 1. Apply the knowledge you acquired in ground school to an in-flight practice scenario. 2. Safely land the airplane. 3. Gain bragging rights - "I can fly any airplane in the world." The cost for this session will be ala Carte at the normal hourly rates for the airplane and instructor used. You can plan on between 1 and 1.3 hours airplane time and between 1.5 to 2 hours instructor time. The flight session can be scheduled any time after completion of the ground session at any Aviation Adventures location. Please call the Manassas office (703-530-7737) to reserve your place in the ground school and schedule your flight. We will be conducting a G1000 seminar on Saturday, November 6th in the Aviation Adventures offices at Warrenton-Fauquier Airport. We will start at 9 AM and should end by 2:30 PM with a short break for lunch. Our G1000 Cessna 172, N6276Z, will be available after the seminar for cockpit familiarization and checkout flights. The cost of the seminar is $50. The seminar will cover the integrated GFC-700 autopilot. If you plan to attend, please register by emailing or calling the Warrenton office at khwy@aviationadventures.com or 540-788-4734. Join us at Leesburg Executive Airport on Saturday, October 23rd for the 2010 Airshow. The gates open at 10 AM and admission is FREE. There will be static displays of warbirds, classic aircraft, exotic cars and more. Cessna will have a Limited Edition High Sierra Mustang jet on display, as well as a Caravan, Cessna 400 Corvalis, Cessna 182, Cessna 172 and a Cessna 162 Skycatcher. This is the first appearance of a Skycatcher in a Northern Virginia venue. The Leesburg Airport will be NOTAMed closed to all but participating aircraft from 7AM to 7PM on Saturday. This is your chance to do some of your favorite things: ride your motorcycle with a group of fellow pilots/riders, and enjoy superb German food and brew. On Thursday, October 7th at 5pm, we will meet at the Manassas Terminal building. At 5:15 we will depart for The Bavarian Chef in Madison, VA, about 60 miles down Rt 29. Please sign up with the Manassas desk NLT October 5th if you're interested in joining. 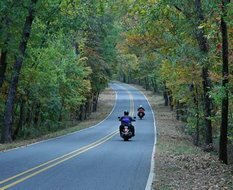 If you'd like to go, but prefer your car to a motorcycle, that's okay, too. Thinking about taking a small step forward in your piloting skills? 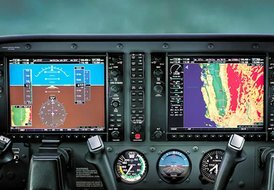 Like learning how to fly the Garmin G1000 glass panel? If so, you're invited to attend a G1000 seminar on Saturday, November 6, 2010 in the Aviation Adventures offices at Warrenton-Fauquier Airport. We will start at 9:00 AM and should end by 2:30 PM with a short break for lunch. Our G1000 Cessna 172, N6276Z, will be available after the seminar for cockpit familiarization and checkout flights. The cost of the seminar is $50. The seminar will cover the integrated GFC-700 autopilot. If you plan to attend, please register by emailing or calling the Aviation Adventures - Warrenton office at KHWY@AviationAdventures.com or 540-788-4734. 09.26.10 Fly-out to the Roller Coaster Capital of the World! Join us for a fly-out to the Roller Coaster Capital of the World! On Sunday, September 26th, we'll be departing out of HEF, JYO & HWY at 8am to head to Sandusky, OH (SKY) to spend the day riding the rides at Cedar Point Amusement Park. We should arrive at the park around noon, when the park opens, and plan to meet back up at 6pm to head back to the airport for the flight home. We should be back to the home airports around 10pm. This is a great trip to get your family and friends to join you for. Get your plane reserved and give us a call with a headcount for your plane, so we can book enough transportation from the airport to/from Cedar Point. Also, let us know if you have room for more passengers, if you'd like to have someone join you and share the expenses. 09.18.10 Right Seat Course: What if the Worst Happens? Tell all your non-pilot flying companions, Aviation Adventures is offering a course for the frequent right seat occupant titled "Right Seat Course: What if the worst happens?" You, a non-pilot, are rifding in a flying airplane when the only pilot on board becomes incapacitated. What could be worse than that? completion of this course will prepare you for just that situation. The objectives of the ground session are: 1. To know, intellectually, how to safely complete a flight after the pilot becomes incapacitated. 2. Be well-prepared to apply that knowledge in an in-flight practice scenario. 3. Gain knowledge helpful on normal flights, allowing you to be a useful co-pilot. The cost of the ground session is $30 and will be presented in Aviation Adventures Manassas classroom on September 18, 2010 at 9:00 AM. The objective of the flight session are for you to: 1. Apply the knowledge you acquired in ground school to an in-flight practice scenario. 2. Safely land the airplane. 3. Gain bragging rights - "I can fly any airplane in the world." The cost for this session will be ala Carte at the normal hourly rates for the airplane and instructor used. You can plan on between 1 and 1.3 hours airplane time and between 1.5 and 2.0 hours instructor time. The flight session can be scheduled any time after completion of the ground session at any Aviation Adventures location. Join us for our annual Fly & Float! We'll be departing from HEF, JYO & HWY at 8:30am on Friday, September, 3rd to head to Front Royal (FRR) to go canoeing. The great people from the Front Royal Canoe Company will pick us up from the Front Royal airport and get us set up with our canoes and kayaks to do a 7 mile trip down the river. We should be back to the home airports mid-afternoon. If you're interested in joining us, get your plane booked and give us a call to let us know how many canoes and/or kayaks you need reserved. Also, let us know whether you have room and would like other passengers in your plane to split the cost. In case you haven't heard, the beautiful Cessna Corvalis TT COL4, N400BA, has arrived at JYO. Come join us for the Factory Authorized Corvalis ground school, meet our latest addition in person, and take the first step toward FL250! Ray de Haan and Mike Gilbert will be hosting the class on Saturday, August 21st from 8am - 5pm. Give us a call at JYO to sign up. The cost is $225. Hope to see you there! Join us on Friday, June 18th for a step back in time and enjoy Chesapeake crab fresh from the boat. Tangier Island is a great place for a fly-out, where its 750 inhabitants fish, crab, ride around the island on golf carts and speak Elizabethan English, which is spoken nowhere else in the world. Reserve your plane for a 5pm departure and let the office know if you have room for additional passengers. That's right. We were selected by the Warrenton-Fauquier County evaluating committee to be the exclusive flight school at Warrenton (KHWY). We are absorbing the SkyWorld Cessna Pilot Center instructors and aircraft, and are adding some new services, as well. Our new facilities in the main building at HWY are newly repainted and carpeted, and we hope to start operations there in early May. Aviation Adventures is participating in Learn to Fly Day. Learn to Fly Seminars will be held at both offices at 10am and 1pm on May 15th. Take a look at the Learn to Fly Day website for more information or go to the Manassas or Leesburg pages to get free tickets to a seminar. Join us on Saturday, March 27th for a High Altitude Operations class taught by Roger Coffman. The class will run from 9am - noon in the conference room at Volo Aviation in Manassas. The class will cover: 1) Ground training required by FAR 61.31(g)(1) towards the high altitude endorsement - Aerodynamics, meterology, and physiology related to operations at high altitudes. 2) Oxygen systems of the Cessna 182 Turbo Skylane and Cessna 400 Corvalis TT - System operation and maintenance, masks, canulas, pulse oximeter, and flight planning. 3) Economics - Learn when using the flight level-capable Cessna 182 Turbo Skylane or the Cessna 400 Corvalis TT is your most cost-effective aircraft choice. You will want to take this class if you are planning on, or thinking about, getting checked out in the Turbo Skylane or Corvalis. It will give you valuable background knowledge in preparation for flight at the higher altitudes. Completion of this class counts toward the ground school requirement of the Cessna approved transition course required for checkout in the Corvalis. You will want to take this class if you are interested in expanding your aviation knowledge. Completion of the class entitles you to a logbook endorsement stating that you have completed the ground training required by FAR 61.31(g)(1) for operating pressurized aircraft. The cost of the class is $45. Please call the Manassas office to sign up. We now have a Cessna Corvalis TT in our fleet at Leesburg, as well. N400BA is now available for rent out of JYO, and is the top of the line, fastest single-engine fixed gear aircraft available for rent anywhere. If you're interested in getting checked out in this amazing aircraft, give us a call to get on the schedule and prepare to be impressed. 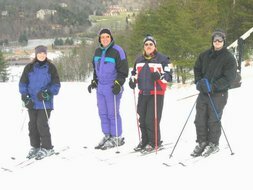 Join us on our next flyout to go skiing at Wisp in McHenry, MD (www.wispresort.com). On Sunday, January 31st, we'll depart HEF & JYO at 7:30am to fly to Garrett County Airport (2G4). From there we'll arrange for transportation to Wisp, and hit the slopes till we meet up to head back to the airport around 4pm. If you're interested in going along for this flyout, get a plane (and instructor, if you need one) booked and give us a call at the office to let us know how many are going in your party, so we can make sure to have ample ground transportation arranged. If you have any questions, don't hesitate to give us a call. Join us on Friday, December 18th, as we fly up the Hudson Corridor to view the NYC skyline during the beautiful Holiday Season. We'll be meeting up at Monmouth Executive (KBLM) in NJ at noon, then departing to fly up the corridor from there, and head over to Teterboro (KTEB). Those that wish to can take the bus that runs every 15 minutes into Manhattan to be a tourist for a bit, before returning to TEB to fly the route back and view the skyline at night. We'll be departing TEB around 5:30 to return to VA. Since this is a busy airspace to fly into, we are having a meeting on Wednesday, December 16th at 7 pm at the Leesburg Executive Airport. We strongly encourage anyone going along for this trip to attend the meeting. Please give us a call at the office and get a plane reserved if you care to join us for this most memorable experience! Join us on Saturday, Novemer 21st to view the Manhattan skyline and Lady Liberty from above, as we fly up the Hudson Corridor. We plan to depart HEF & JYO around 8am. After the flight up the corridor, you can head back to VA or land at Teterboro (TEB) and take the bus downtown Manhattan for shopping/sightseeing/a Broadway show/etc. Since this fly-out requires lots of planning and organization, there will be a meeting beforehand to go over all the details. The meeting will be on Thursday, November 19th at our office in Leesburg at 7pm. Please come to the meeting with the performance figures of your aircraft, so you know how much fuel you can take with the passengers you're taking for fuel planning purposes. Ther eis a lot to know when flying the Hudson Corridor or into Teterboro, so attendance at this meeting is highly encouraged if you plan to go on this fly-out. If you'd like to go along to NYC, get your plane booked and give us a call at the office you'll be departing from. The rain date, should we need it, will be Saturday, November 28th, but the meeting will still be on the 19th. This trip is a great one for anyone needing more cross country time for your instrument or commercial requirements. REgardless of whether you go just to see NYC & Lady Liberty, go for the shopping or go to meet some aviation requirements, we hop to see a lot of you join us for this awesome fly-out! On June 7th, a big truck pulled into town and began to off-load and build our new Redbird FTX Advanced Aviation Training Devices (AATDs). The FTX is a Full Motion, that's right, Full Motion sim with over 200 ° of wrap-around color vision and supports the full range of VFR and IFR training. If you can do it in the airplane, you can do it in the Redbird. 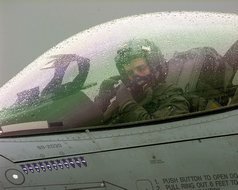 Redbirds have convertible cockpit panels that allow them to re-configure to emulate a variety of aircraft. Leesburg's will be operational on June 10th and will be configured as a normally aspirated G-1000 C-182, for now. Manassas's Redbird will be operational on June 11th, and will be configurable as a Garmin 430 equipped C-172 and a G-1000 Turbo 182. The rental rate is going to be $75/hour, plus instructor. If you want to see the Redbird in action, visit their website, then click on Media Gallery, then FMX. The Redbirds are listed on the schedule now. When you see a time you want, grab it. All indications are that they will schedule quickly. If you're interested in seeing more before you schedule, we are hosting a "Meet the Redbird" session on Saturday, June 13th from 1-2PM at Manassas. This session is free. We have been approved by the FAA to use school callsigns. Effective now, we are SKY VENTURES. Not our first choice, but our previous 14 choices were already taken. 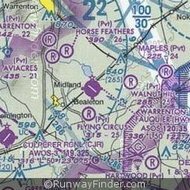 Here's how it works: When you flile IFR, VFR or SFRA, instead of the tail number, put AVL and the number as it is listed on AircraftClubs.com. For instance, list AVL31 instead of N16789. Then, in the remarks section, put AVL=Sky Ventures, N16789. When you go to fly, you are then Sky Ventures Three One. This is recognized worldwide. And if you really want to sound cool, when other Sky Ventures planes are pointed out as traffic, you get to reply, "Company traffic in sight".